LG and US mobile operator Sprint will release a 5G-compatible smartphone in the first half of 2019. The two parties are tight-lipped about price, specs and even an exact launch date, but are confident that it will be the first 5G smartphone to be made available in the US. Even though the race to 5G has been a global event, there is still competition between US carriers to be the first. The first commercial 5G networks will go live in the US later in 2018, offering faster speeds, greater capacity and lower latency. 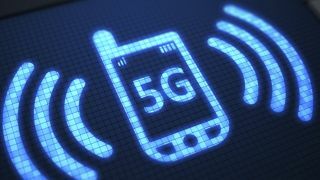 All four major US carriers have advanced 5G roadmaps, but initial deployments will be restricted to Fixed Wireless Access (FWA) broadband in major cities until the first 5G smartphones arrive next year. Sprint is the country’s fourth largest operator and plans to launch 5G in nine cities - Atlanta, Chicago, Dallas, Houston, Kansas City, Los Angeles, New York City, Phoenix and Washington DC – in 2019. However, the company has agreed a $26 billion merger deal with T-Mobile in a move that it is claimed will accelerate the rollout of 5G. Both say they don’t have the means to build a truly national 5G network on their own, but their combined spectrum and network assets mean they will be able to this more rapidly than rivals AT&T and Verizon – both of whom have more customers and spectrum than the merged company. This is because T-Mobile has long range 600MHz airwaves, whereas its rivals have mmWave spectrum which offers vast capacity but only within a limited radius. The two companies also assert that Verizon and AT&T would have to “kick” customers off LTE to facilitate the rollout. But despite the ongoing talks with regulators, Sprint has confirmed the LG device will optimised for its 5G network and that the only way you’ll be able to use it with T-Mobile is on 4G.